Don't get stuck in a routine this season. Give ducks what they want to hear. Duck hunters love calls. We fill our lanyards with single-reeds, double-reeds, goose flutes, pintail whistles and others and wear them proudly every day of the season. Yet despite our long infatuation with calls and the sounds they produce, many folks seem to ignore certain vocalizations or simple tricks that might improve their calling and hunting. I’m not talking about the proper way to blow a mallard call or common calling mistakes. (For that info, refer to Joe Balog’s excellent 2015 article.) Instead, let’s discuss ways to broaden your calling horizons or boost your odds this season. Well, duh. That’s the point, right? Still, where do most of us learn to call? From listening to other hunters or watching video instructionals. Imagine the knowledge we’d gain if we spent much of that time in the marsh listening to real ducks. That’s not an indictment of contest calling or celebrity call makers. All those guys are hunters first and foremost, and they absolutely sound like real ducks in the field. Contest calling demands a somewhat different approach than “meat calling,” rewarding competitors who can play their calling instruments at an extremely high level rather than merely imitating ducks. And I’m guessing that most contest callers would also advise you to mimic actual ducks, not contest routines, while hunting. Listening to ducks lets you focus on realistic tones and cadences. Further, it also reveals what vocalizations ducks utter in specific situations, like when they’re feeding vigorously, loafing on the water or flying from place to place. By watching and listening to their behavior, you can learn when to call, when to hush and what vocalizations to mimic. And during the off-season, you can experiment by calling to ducks to gauge their reactions. The familiar sounds of hen mallards dominate the calling scene, and for good reason. We all want to kill straps of fat mallards, and hen highballs, quacks and feeding chuckles help us do that. Moreover, mallards are the most common North American duck, and other species — including gadwalls, black ducks and even canvasbacks — respond positively to mallard vocalizations. But sometimes, you need to use species-specific sounds to help lure other ducks. Whistles might be the most common non-mallard sounds. Wigeon, for example, react well to imitations of their common nasal three-note whistle. Wary pintails seem to decoy better when they hear their short, trilling whistle. And drake green-winged teal sometimes check out imitations of their brief high-pitched pops — when they slow down, that is. You can imitate any of these vocalizations on a simple whistle call. In fact, you can even produce acceptable pintail whistles on a dog whistle. Hen blue-winged teal utter a nasal, high-pitched five-note quack that’s somewhat similar to that of a mallard. To perfect it, however, you must learn to purse your lips and force air differently through a mallard call. Drake gadwalls often utter short, flat “blats,” but hens use a mallard-like greeting call. 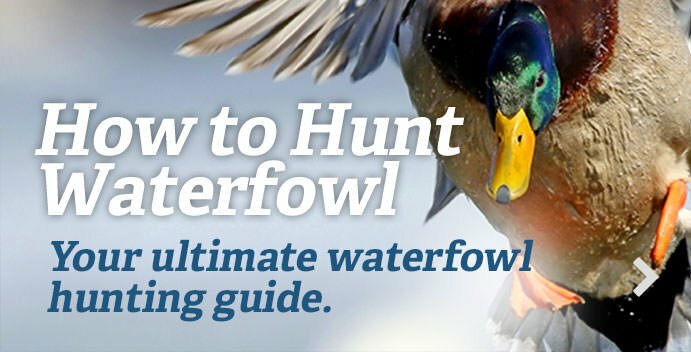 Try imitating either — on a standard mallard call or specialized gadwall call — to see what birds seem to want. Wood ducks probably make the largest variety of odd vocalizations, but in my opinion, wood duck calls are more useless than wood duck decoys. Those buggers go where they want. Still, learning to mimic these sounds can be fun and challenging. Divers have varied vocalizations, but many hunters don’t touch their calls when pursuing cans, redheads and bluebills on big water. That’s probably because diver hunting is more visually oriented than puddle duck pursuits, usually involving large spreads of decoys to attract flocks from long distances. Still, imitating diver sounds can sometimes help you fill the boat. The classic “burr, burr” sound of bluebills and redheads is most commonly associated with diver hunting. You can easily reproduce this with a commercial diver call or on a mallard call by rolling the r’s in the “burr” with your tongue. I’ve even seen people use their natural voices, albeit with little success. In my experience, ringnecks respond better to calling than other divers. I’ve even seen them zip from the stratosphere and land after hearing a few “burr” notes. This seems somewhat odd, as ringbills have a vocabulary far beyond simple “burrs,” often grunting or chattering. Still, that standard call seems to work better on them than other divers. Hen canvasbacks often use a brief, raspy quack note while resting on the water. Imitating that on a mallard call might convince bulls to visit your spread. I touched on this before when discussing gadwalls. Observe how ducks react to various vocalizations, and adapt your approach. That is, let birds tell you what they want to hear that day. Too often, we get into routines while working ducks. Usually, that involves hail and comeback calls as ducks circle, single quacks and chuckles as birds get lower and incessant feeding chuckles when they approach the decoys. That works some days — but not always. Give birds what they want. For example, if hail calls seem to catch the interest of a flock or comeback calls turn birds that were leaving, stick with those approaches. If not, you might tone things down and focus more on single quacks or intermittent feeding chuckles. Many days, birds are relatively quiet, and you don’t need to hit a call. Go with it. Like old-timers say, if birds are coming toward you, don’t screw it up by calling. Some scenarios are much more conducive to calling than others. Always be ready to call, but observe conditions to help decide when it’s wise to hammer that call or put it in your pocket. Many situations almost demand calling, such as foggy days. Ducks can’t see their comrades in fog, so they rely on other clues to help them find feeding and loafing companions. Often, a few quacks and chuckles mixed with an occasional highball can bring flocks straight into your hole. Conversely, calling doesn’t work as well in high-pressure situations during which many groups are calling. A typical Wisconsin or Minnesota duck opener, for example, usually involves flocks of confused ducks flying from place to place to find safety as every guy with a single-reed tries to qualify for Stuttgart. If ducks are shot at every time they get lower than 75 yards, why would they respond to calling? Easy. They won’t. Save your breath. Those are extreme examples, but the general principle holds true. Err on the side of conservatism if conditions don’t seem good for calling, but don’t be afraid to make noise if the situation seems to warrant it. Above all, be confident in your sound, and never be afraid to call. Always think about what you’re doing, and try a few tricks to see what works. And remember that you’re in the marsh to kill ducks, not just call ducks. Imitating birds as you fill your strap just makes it more enjoyable. Editor's note: James Buice's article on training dogs for marked retrieves, originally scheduled to run today, will appear next week.